NOVAE MILITIAE: 2017 Crushing Sophomore Album by French Black Metal Miscreants Sees Tape and Vinyl Release. April 14, 2018 Mattia A. 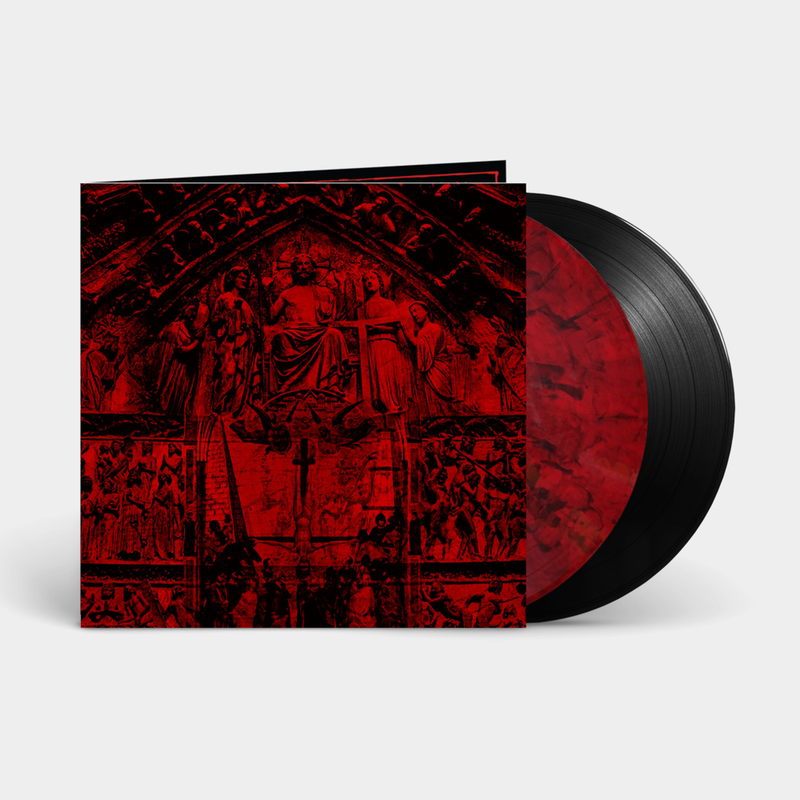 We are proud to finally issue the vinyl and tape release of French black metal abomination Novae Militiae's 2017 sophomore album Gash’khalah originally released on CD by Goathorned Prods. The Gatefold 2LP (coreleased by Argento Records in the EU) and limited edition cassette tape are now available for purchase on our store and Bandcamp. Evil, blasphemous, hideous, and utterly horrific, on their sophomore LP this mysterious French black metal entity summon total armageddon. In strict adherence to France's infamous tradition of birthing the most heinous and fucked black metal imaginable, Gash’khalah does not disappoint, spewing forth a wretched swarm of otherworldly aural annihilation that engulfs the listener like a blaze. In an attempt to harness complete and unadulterated ruin, on Gash’khalah Novae Militiae meticulously unravel almost an hour of vile and blasphemous sonic trauma that paints a picture of absolutely daunting horror. Through a sapient and unorthodox interweaving of unsettling atmospheres, deviant religious commentary, warped and disorienting instrumental passages, and an absolutely crushing delivery, Gash’khalah's hideous silhouette takes shape through the same realms of ruin and torment that have birthed masterpieces by other similar French black metal aberrations like Aosoth, Deathspell Omega, Antaeus, etc. Mysterious, recluse, and hermetically obscure, as is in the proudest French black metal tradition, Novae Militiae are sonic miscreants of the most vile and unholy form. Nothing is known about the band, their origins, intents, nor the members that form it. As such Novae Militiae are one of those rare cases these days in which the music truly is the only thing that speaks, and indeed it does speak in a mysterious and ominous tongue, from a place of immeasurable malevolence. As in their peers like Deathspell Omega, Novae Militiae spew forth a chaotic deluge of utter destruction which obsessively deals with theological themes from a deconstructive standpoint, aiming at empirically tearing down every holy notion embraced by man and mocking it in blasphemous carnage. Through a sonic framework of apocalyptically violent compositions, otherworldly atmospheres, and surreal commentary about the mockery and utter ridicule that is the theological realm of men, Novae Militiae have created a blood-soaked sonic armageddon that is drenched in utmost hatred for the human race and all its false and empty idols.